It’s Chinese New Year, and Air China has rolled out its Business Class deals again. Many European destinations are included, but from Germany there are always some especially aggressive deals. I’m not sure why Germany always gets the best offers but, year in and year out, it does. I can’t see any deals from London yet, looking at the UK Air China site. 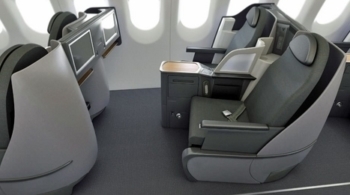 How about £1,480 in Australasia in Business Class – including over Christmas? Take a look here and see. You must book by Sunday 10th February although availability tends to disappear more quickly than that. Air China is part of Star Alliance so you could (depending on which booking class the ticket books into) earn miles and status credit with Lufthansa Miles & More or one of the other Star programmes. Use wheretocredit.com to find the most generous programme – you are probably looking for ‘R’ class earning which is typically 125% of miles flown. I know very little about Air China, so do some research on what planes are flying which route and what kind of seating if will offer. 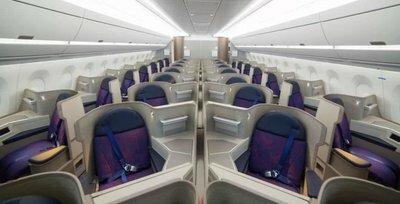 A typical Air China business class is pictured below. Last year reader Joel reviewed the Air China Boeing 777 business class service from Heathrow to Beijing for us – see here. These deals end on Sunday 10th February. The Air China Germany site, in English, is here. Do they use the 747 8 on any of these routes? You can get it cheaper, on some dates, particularly summer, from ZRH or GVA. Cheaper to fly to Sydney than Beijing – incredible! Makes sense! (fortunately or unfortunately). On EU-China, Air China doesn’t (need) to compete on price (they compete based on product). For other destinations, they need to compete on price. PEK is Air China’s hub and that’s what raises the price. Same with all airlines. Try and get flights which go a bit further than where you want to end up rather than finish at their main hub (two centre break???) . You can usually take a cheap feeder flight back to where you want to be. Same flying out. If you want to fly from an airlines hub without paying their premium start looking for flights with connections i.e. positioning flights to get you to the airlines hub rather than start at their hub. Can knock thousands off the price so worth the effort. O/T but I guess Christmas-travel related? Called Virgin to use the 2-4-1 voucher on flights to Miami at Christmas along with three reward redemption seats. They said I can only use the voucher if I buy a cash ticket, not with a rewards redemption. MBNA VA 2-4-1 can be used for cash bookings only. Virgin Money 2-4-1 can be used for cash as well as miles bookings. Looks like a classic case where simply hanging up and redialing to talk to a different agent who understands the products better is probably the best course of action. Unfortunately, there seems to be a significant number of employees at the Virgin Call centre who don’t know an awful lot about their products. I have found that the online live chat staff seem to be more knowledgeable – YMMV. Thanks all, will try again tonight. I heard the other day that I won a “stylish suitcase” in the Live Your Dream promo from Air China which I read about on here a few months ago, so thanks to whoever posted it. Let’s see how stylish it is! Would have pulled the trigger on this, one to remember for future reference. Beware. I was booked on a similar fare from FRA to MEL via PVG. They cancelled the PVG MEL route and changed my flight to depart PEK rather than PVG. The trouble is that flight is now the day before my departure from Frankfurt. They have been really unhelpful. I’ve been very polite and asked if they could fly me from London (500 mile rule) as then I can still keep my plans intact. They have refused. They won’t let me have any alternative. Good fare, but awful service. Really, really poor service. Are you saying the moved the second leg of your ticketed connecting flight to depart prior to the first leg? How is that possible? Who/what/where/why said there’s a ‘500-mile rule’? It’s their rules, their policy, if they don’t have one then you can’t make them. Particularly if by departing the UK you will make them liable to pay £160 tax on your behalf, that’s not really fair. BA has a voluntary ‘300km rule’. They choose to do this to be nice, not because they need to. What is the 500 mile rule and when/where does it apply? I flew this route at Xmas 2 years ago. Flight itself was ok with comfy seat, loads of room. Entertainment system was awful, food terrible, in fact I got food poisoning. Poor choice of wines & spirit. However, cheapest business class prices and seats / room worth it. I flew the route about a year ago. I didn’t mind the food or drink onboard but the food in the lounge at Beijing was truly awful as was the entertainment system. I’d definitely recommend bringing a tablet/laptop loaded with movies. It’s totally worth it for the price though. I’m flying to AKL next month and have been holding out for a deal like this. Absolutely gutted that the sale dates don’t start until April! Interesting comments. 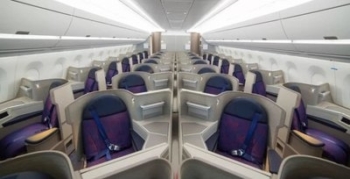 I flew LHR-PEK-SIN on a promo fare and was very disappointed with the IFE and food. The vegetarian meal on both legs was distinctly poor. I tried them again two days ago (landed in SIN yesterday). I was very surprised the food from Heathrow was exactly the same – I had thought they would have at least have changed the menu. This time though, the crew seemingly didn’t know how to heat it; I suspect they rushed it as we departed late and wanted to make up for it. The garlic bread came shortly after the starter. It had been defrosted but not cooked – soggy white stuff. The main meal came out later but was also cold…The crew were nice and friendly but couldn’t understand what I was saying. I decided to sent it back in the end and slept. A few hours later I noticed on the menu they actually have a “dine on demand” option – the crew got me the regular vegetarian option which was cooked right, but it was plain pasta with blue cheese melted on top. No other ingredients, e.g. vegetables to compliment. Quite poor. I noticed the PEK-SIN flight does not have any vegetarian option on the menu, so you must book a special meal in advance (which in my case looked like a gluten-free vegan meal). No vegetarian options in the lounge. *meant to mentioned that the first flight I took was 1 year ago. I flew this route at Xmas 2 years ago. The flight itself was ok with comfy seat, loads of room. Entertainment system was awful, food terrible, in fact I got food poisoning. Poor choice of wines & spirit. OT – Amex Plat Shangri-la Jade still pending for over a month? I was in the same situation recently. Not much help from Amex, but emailed Shangri -La, and had it sorted, and upgraded to Jade within 12 hours. Was quite impressed. I think the issue might be on Amex side, as it is still showing as pending there. OT – are you going to report on BA’s new enhancement, to skip cabin-cleaning at outstations? No, because it isn’t true. It was a one week test to see how much time it saved if it was done during periods of disruption in any attempt to get back on schedule. Thanks for heads up. Just booked, on German site, 2 business class tickets, FRA – SYD outbound Dec 15th return Jan 12th. 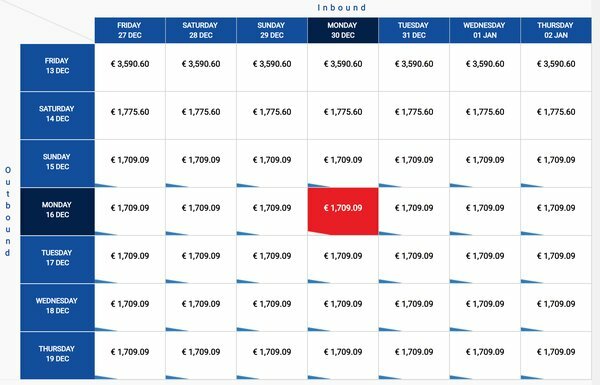 Total cost £3005 half of what UK site offered for the same flights. Same here, my wife and I are off to Melbourne for Xmas and New Year from FRA. Really good price and with added extra of sightseeing in Beijing during the wait. Has anyone got any recommendation on the best company to book a tour with during the 12 hour stop over at the airport?